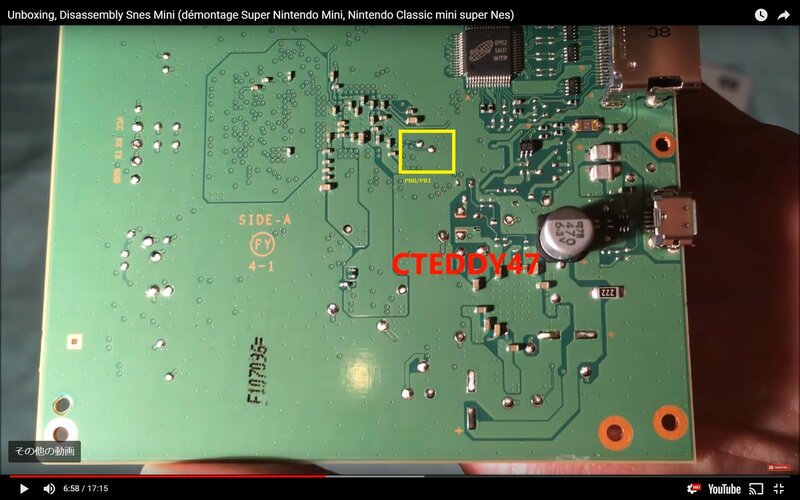 all pictures are from CEDDY47's teardown movie. There are more test or SMD pad , for test or feature extention... ? Protection parts is inserted into HDMI VCC output Line. And more Capacitor and breeding resistor on Power Line. 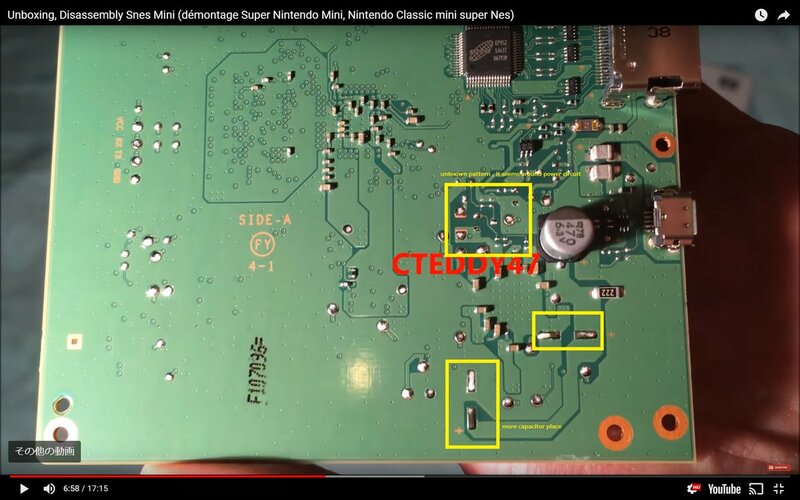 On NES mini , UART pad was hidden. 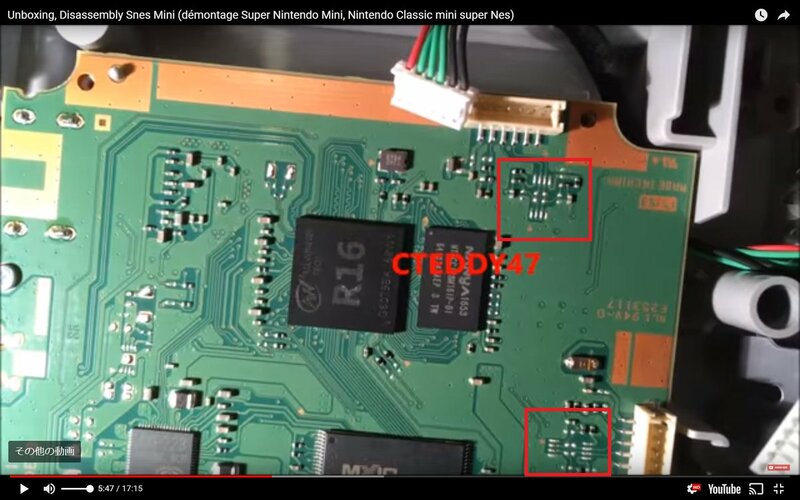 But ,suddenly UART connector and marking silk will appeard on SNES mini. More capacitor place and little pads for power circuit. 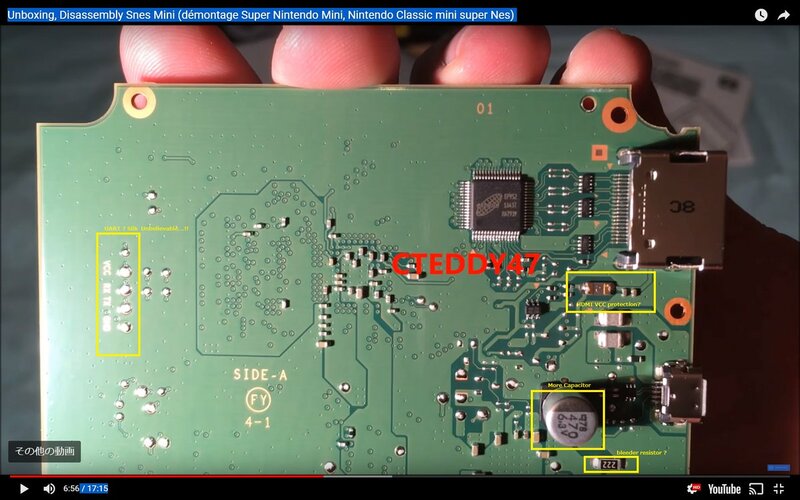 Alternate UART port (or GPIO PB0 /PB1 ) are alived same as NES mini. It can be worked as external communication. I have reserved my SNES mini (JP) console with Amazon. I hope I will get it on October 5.